Lexie is a nationally recognized gerontologist with over 28 years' experience assisting elders and their families in Skagit and surrounding counties. She received her Master of Public Health Degree from the University of Hawaii, has directed a major guardianship program in Los Angeles, practiced as a Certified Professional Guardian in Washington, and is currently a consultant in the Pacific Northwest. Lexie served as President of the Center for Guardianship Certification (CGC) and was a Trustee on that Board from 2004 through 2010. 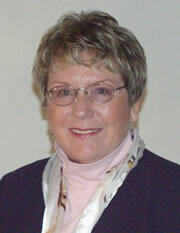 She was on the Executive Board of the National Guardianship Association (NGA) from 1995 to 2003. She is designated by the CGC as one of only 50 Master Guardians in the United States and was awarded their Star Achievement Award in 2003. 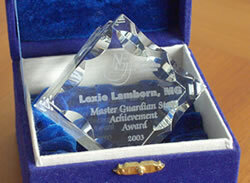 Lexie has retired as a Certified Professional Guardian in the state of Washington. While Lexie is retiring from guardianships, she continues be available for consultation and guardian-ad-litem cases. Visit the Services page for more. To learn more about guardianships, see the Guardianship Q & A page.